Packing your suitcase for a holiday is quite an art, I'm no expert quite the opposite in fact. Past holidays I've made the mistake of packing too much and having to lug a heavy suitcase around, I've also made the mistake of packing the wrong items and left feeling annoyed that I didn't have the right clothes to wear. For my last few trips I've tried to cut down on the amount of things I take, but also making sure I pack things I can mix and match. So I thought I would share some of my tips for packing your suitcase successfully. Make sure you're aware of what the weather will be like wherever it is you're traveling to, so you can pack accordingly. This step is fairly simple. Although I also like to play it safe and I make sure I have one or two warm outfits if the destination I am going to is sunny and vise versa. There's nothing worse than the weather changing and being left with the wrong season of clothing. Gather your basics. You will always find that you needed to pack an extra t-shirt or pair of jeans. It's much easier to work with simple colours and bring in a little something extra with a cute dress or stylish jacket. Some of my basics include - black jeans and some simple tees. Being uncomfortable is out of the question for me. I love the be comfy and if that means suitcase space for a pair of cozy tracksuit pants and a fleecy jacket I make sure I have the space. I also like to pack in a pair of slippers. I also like to keep my holiday outfits a little more simple. Whenever I have packed in one two many outfits I find that I almost never get to wear them all, and just end up frustrated with the amount of things I took along. But that doesn't mean your outfits can't be cute. 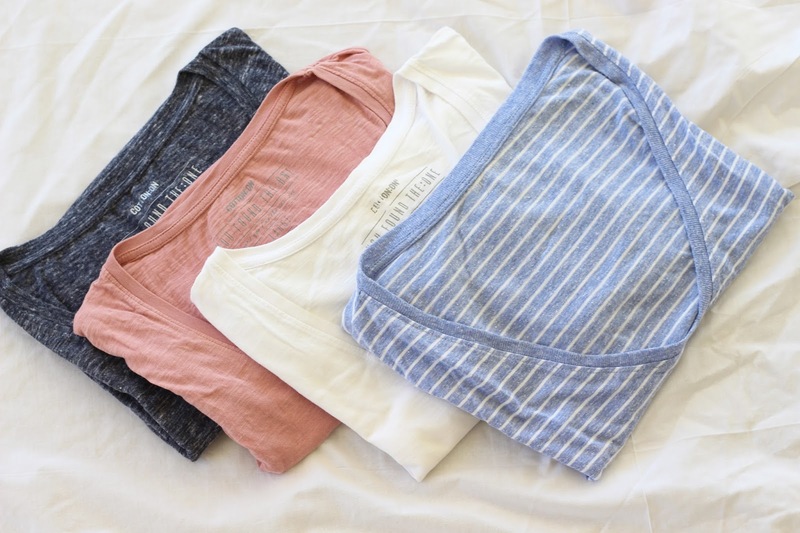 A few mini skirts or some stylish shorts could easily be worn with simple tees. A nice dress is also never a bad idea. Now that you've got the basic things packed, you don't want to be left with a boring wardrobe while you're away. Adding a jacket that is versatile is always a help, something you can wear with a pair of jeans or wear with a dress for something a little more fancy. A hat is always fun but packing it can a be a bit tricky. 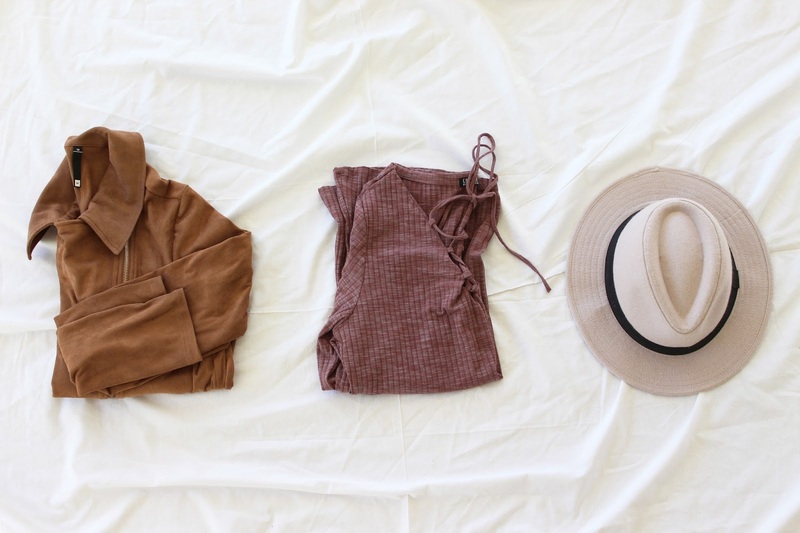 Wearing it while you travel is always an idea especially if you're headed to the beach. Everyone has those few items in their cupboard that they just love, instead of trying to include them all rather limit it to one or two items. That way your suitcase isn't overcrowded and you actually get to wear what you packed in. Shoes are always a problem right? Which pair to pack, which pair to leave behind. Getting them to fit into your suitcase. Limiting the amount of shoes you take will make life much easier. But you also don't want to be shoe-less. A pair of ballet pumps, sandals and ankle boots are what I usually try take along. Hiking shoes are also a good idea if you're bound to be walking a lot or hiking. I like to make sure I take a few pairs of earrings along with me for variety. A few rings or a nice necklace and you should be good to go. Having a bigger handbag with you on holiday is useful, as you almost always have more clutter to fit into it. Whatever makeup staples you use, make sure you pack them securely. There's nothing worse arriving at your destination and opening your makeup bag to find that your moisturizer has leaked out or your favourite blush has cracked and spilled out. Putting your products that can leak into clear plastic packets is a useful trick. Other things to take a long? An extra plug for chargers, hairdryers ect. A good camera. Tablet/ipad and laptop. Headphones. Sunglasses.